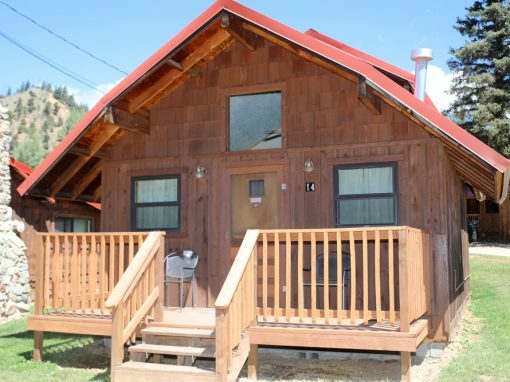 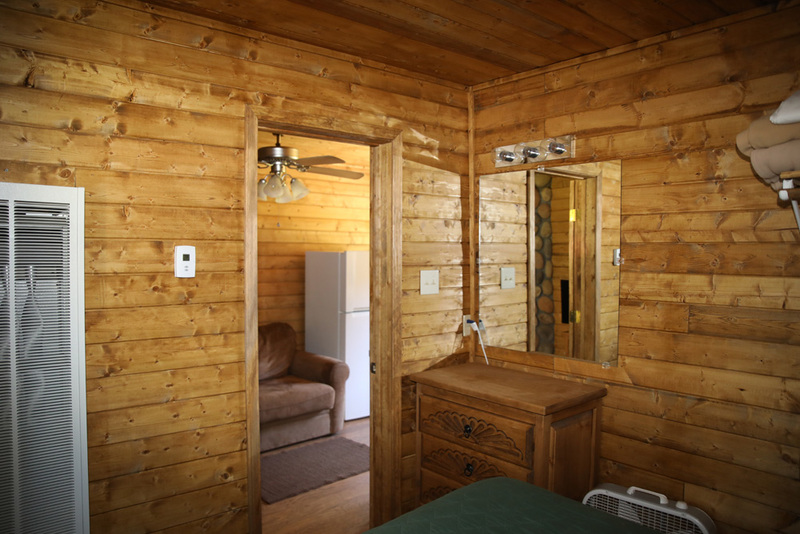 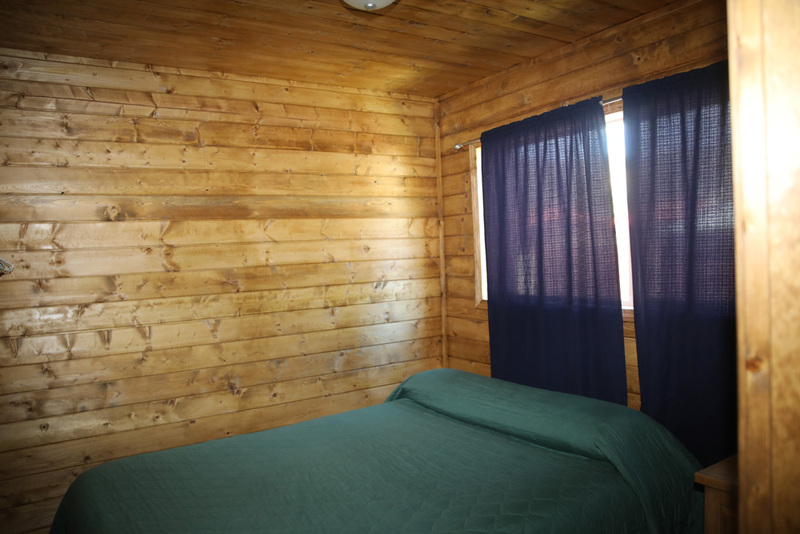 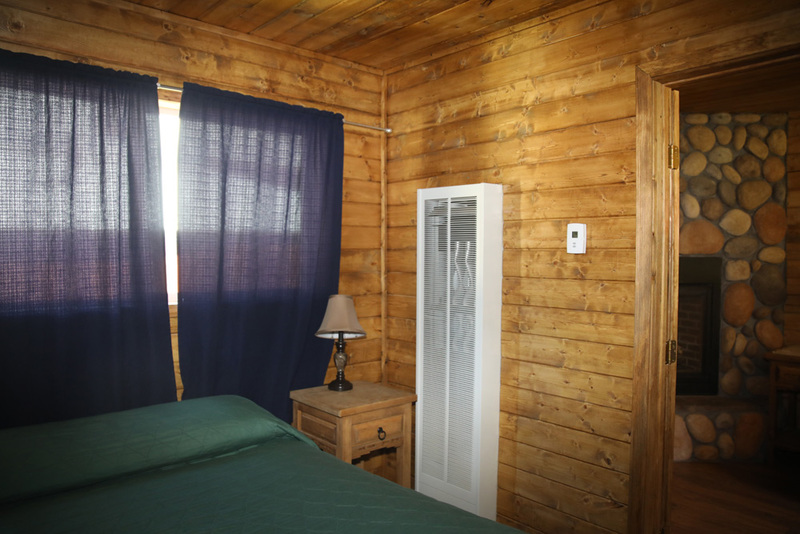 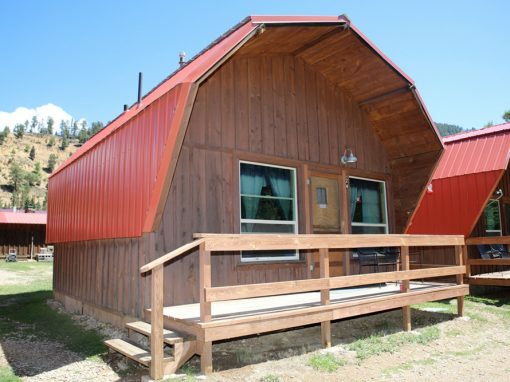 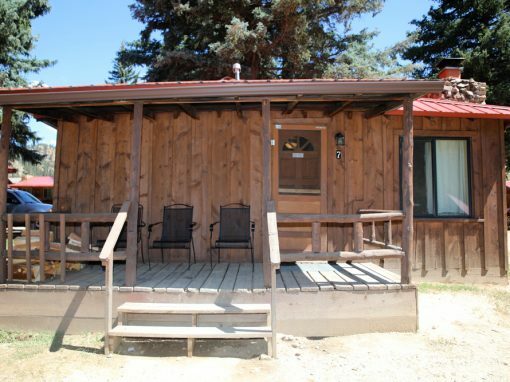 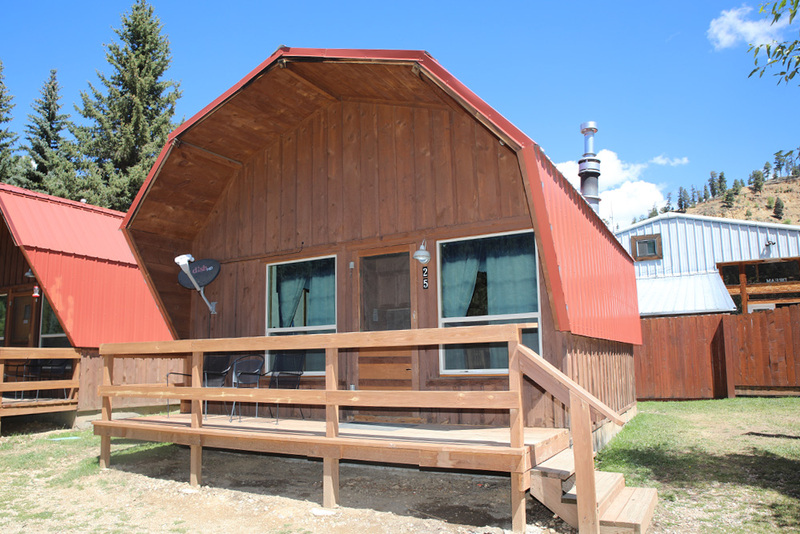 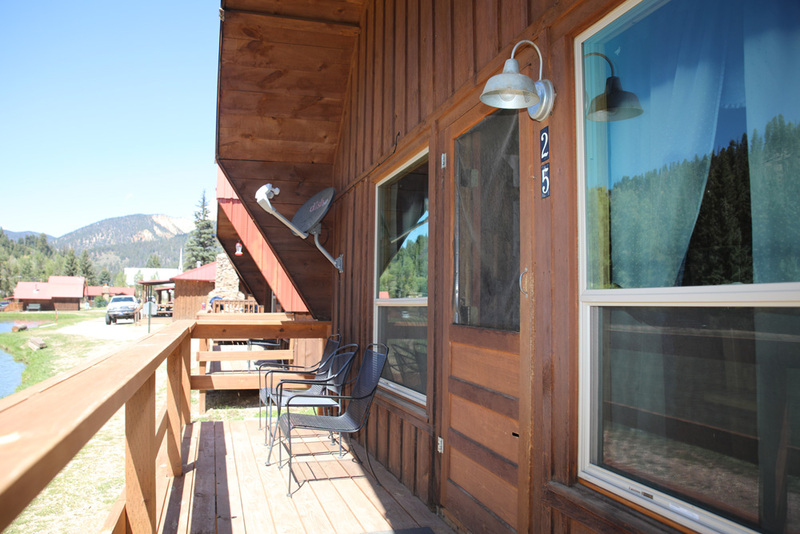 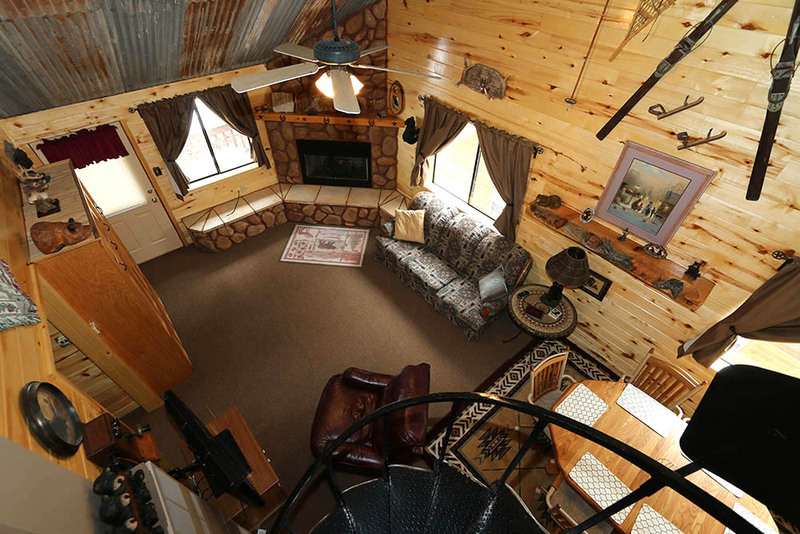 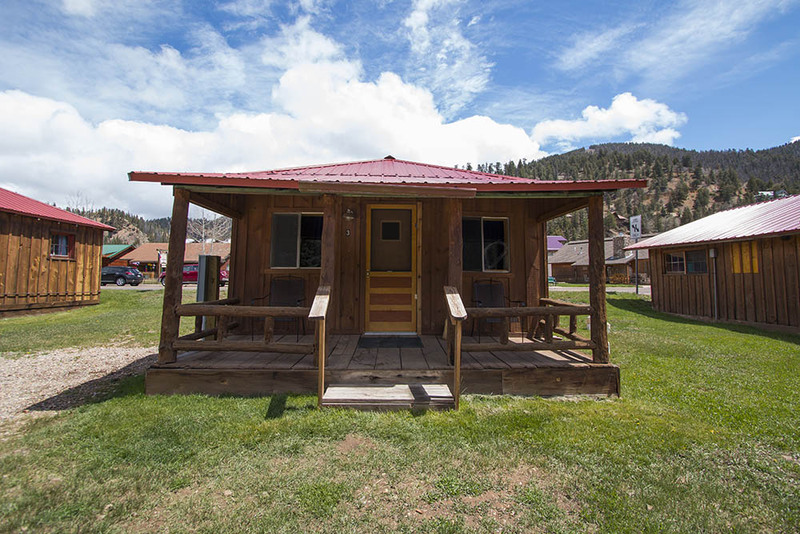 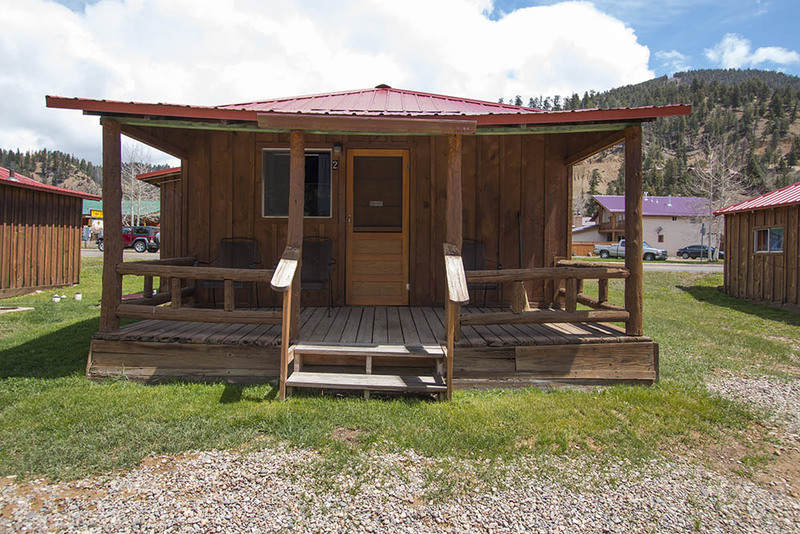 Cabin 25 is a cozy one bedroom cabin with 1 queen size bed. 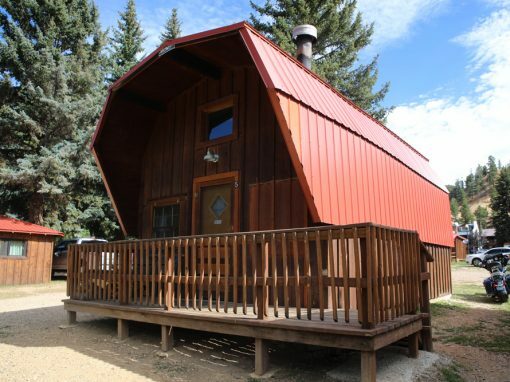 It will accommodate a maximum of 2 people including children. 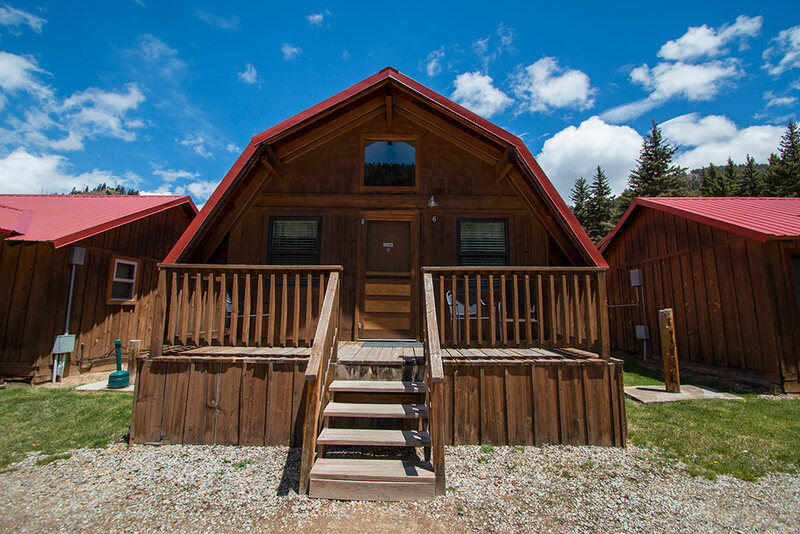 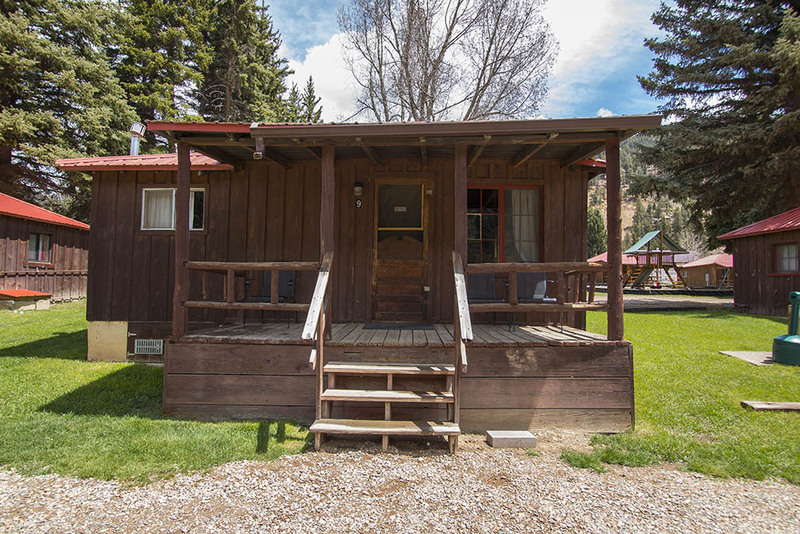 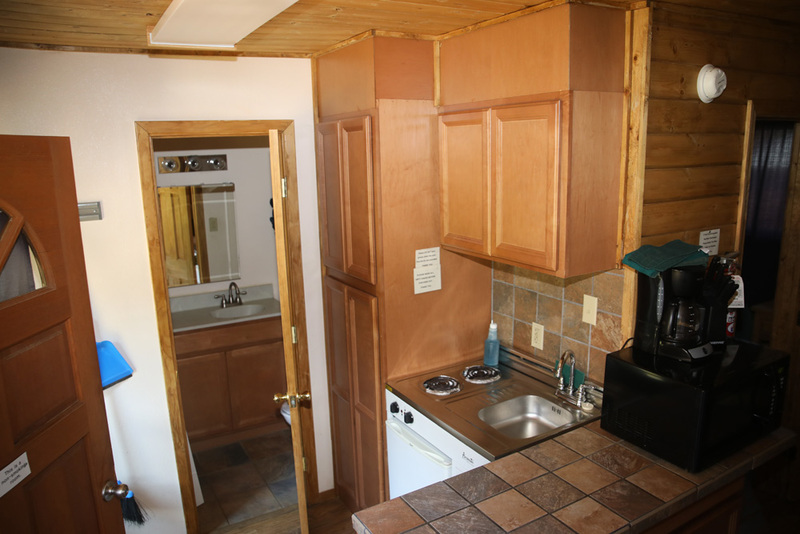 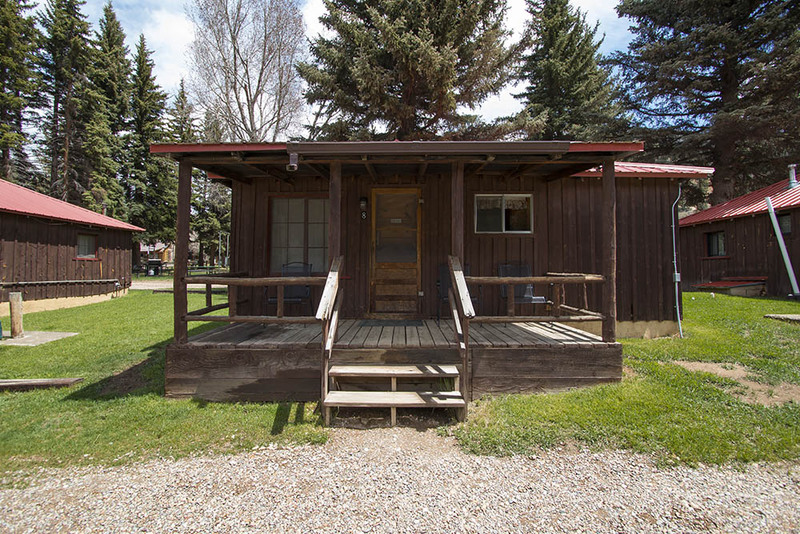 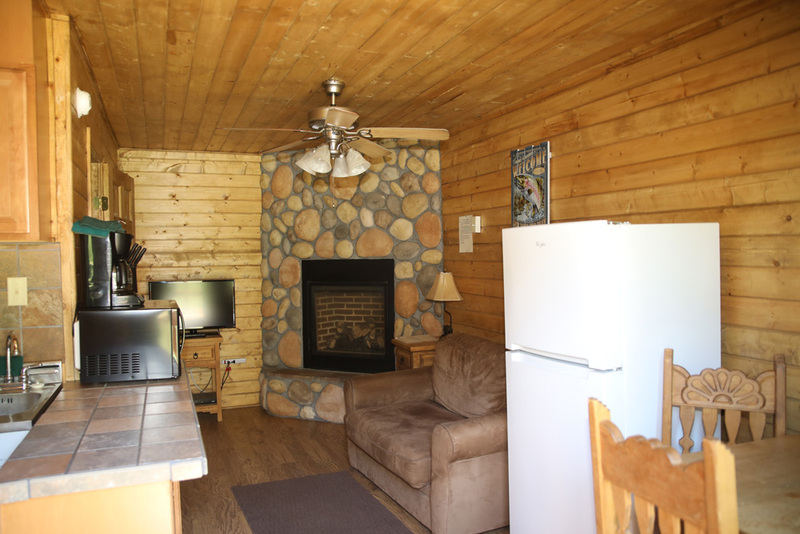 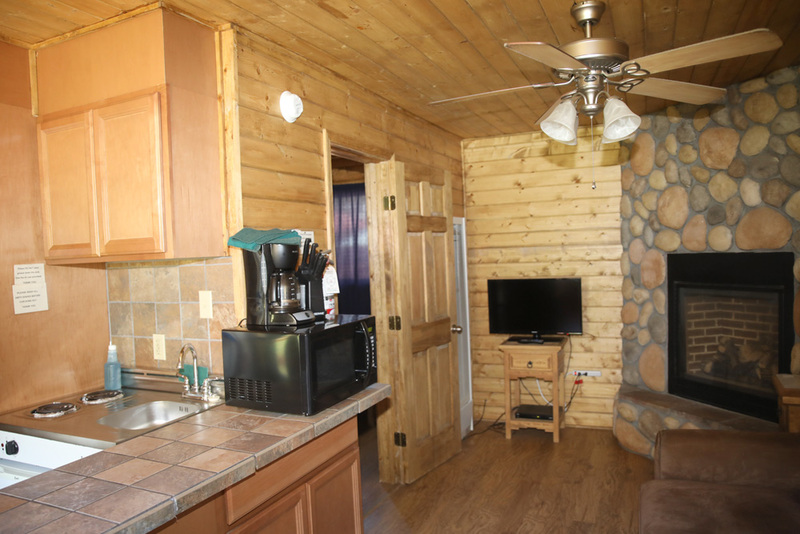 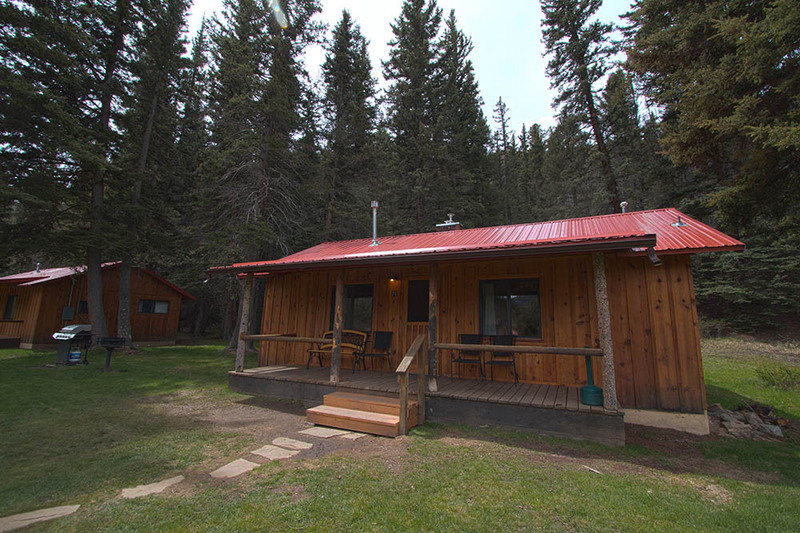 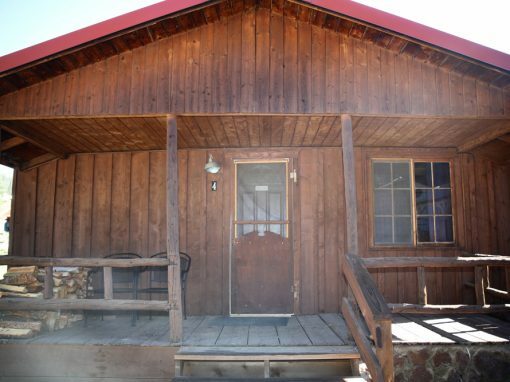 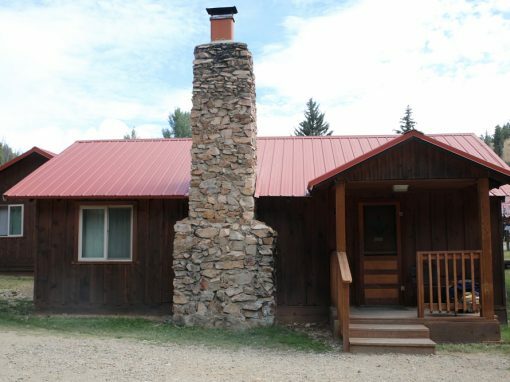 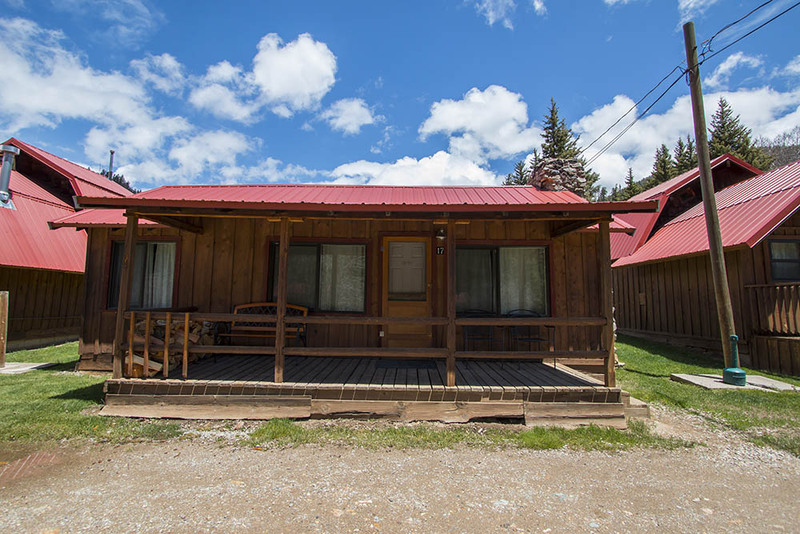 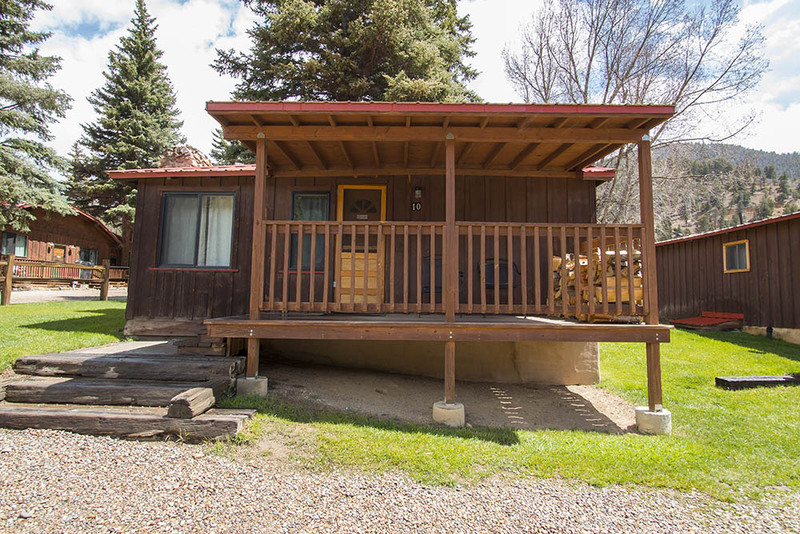 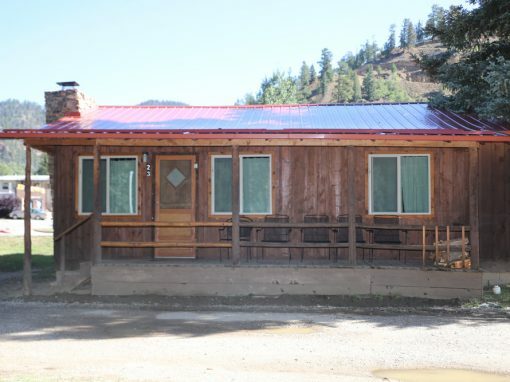 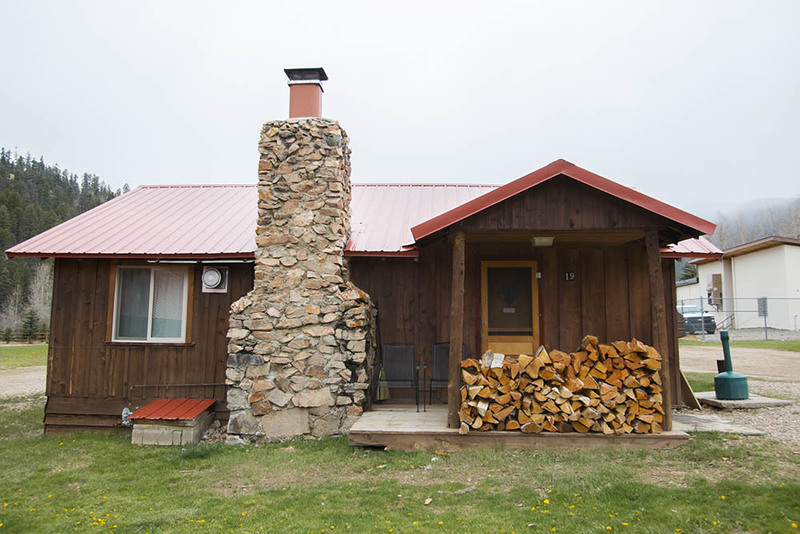 This cabin has a small living room and dining room area with a gas fireplace and a kitchenette which includes a 2 burner stovetop, refrigerator, sink, microwave, coffee maker, all dishware and pots and pans. 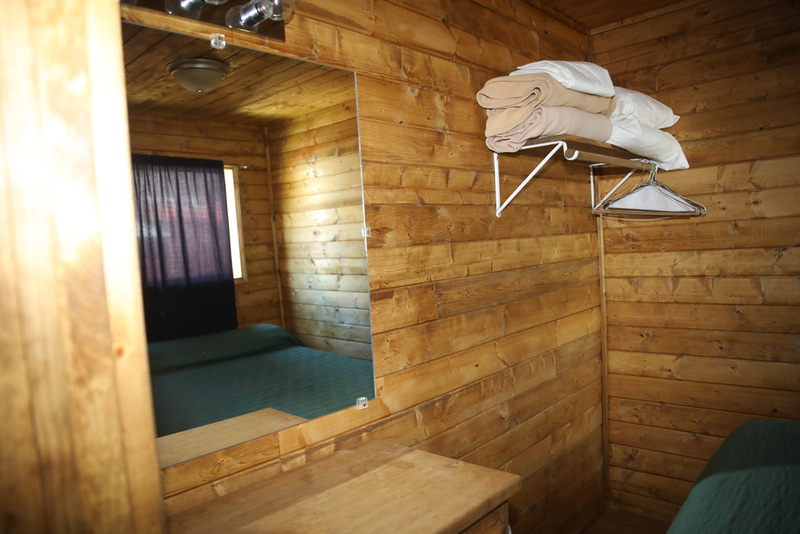 This cabin has 1 bathroom with a shower. 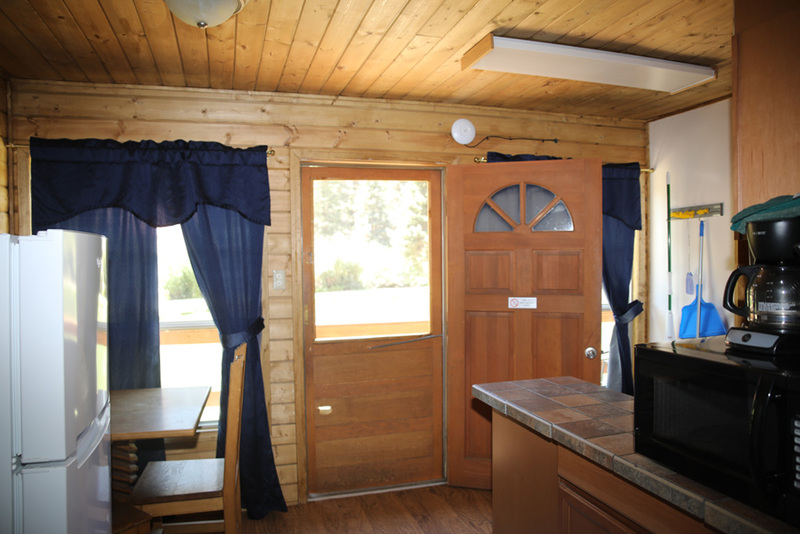 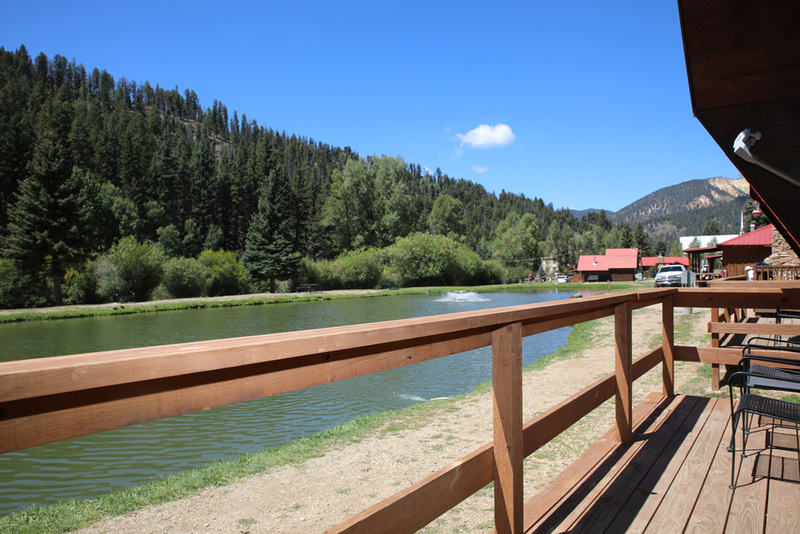 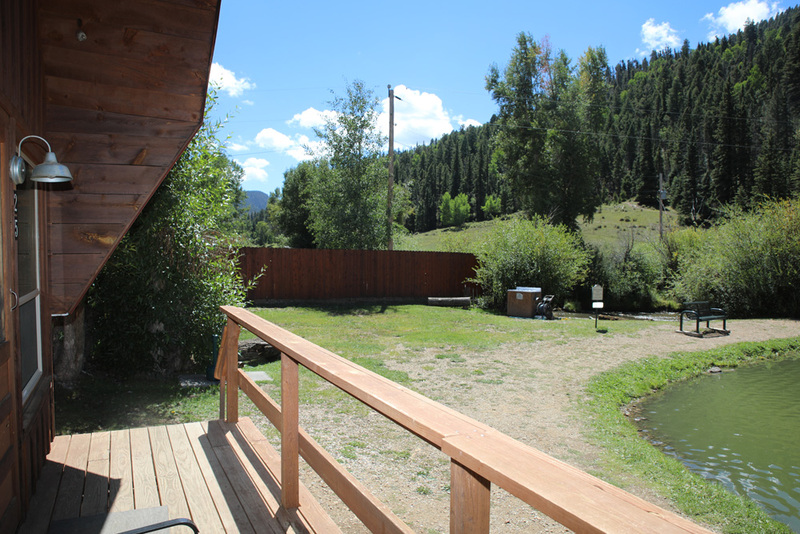 Cabin 25 has a nice sized partially covered porch that faces the pond and mountains and is so close to the pond you could fish from the porch! 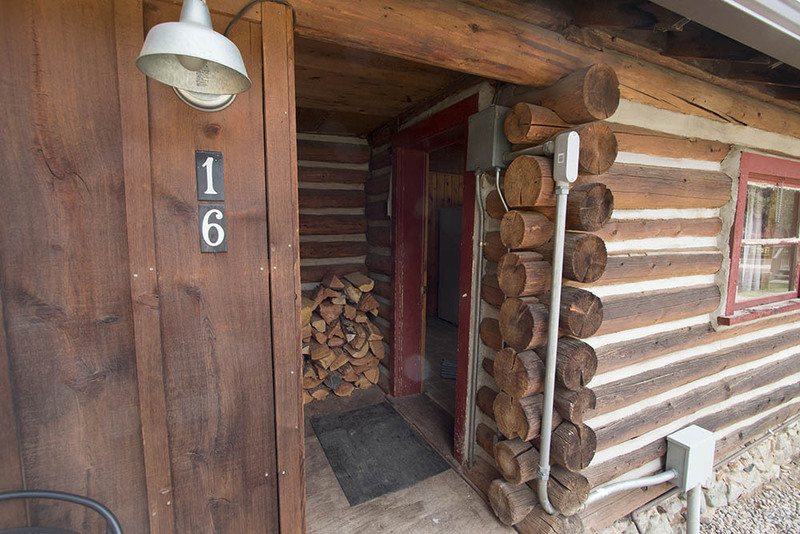 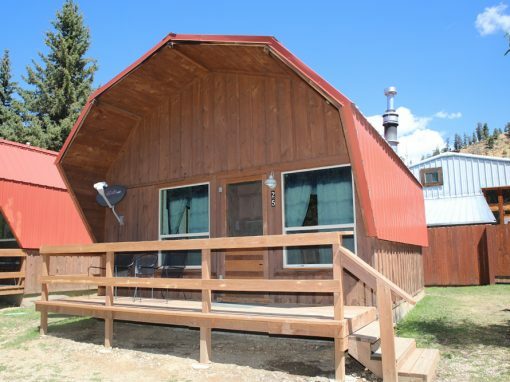 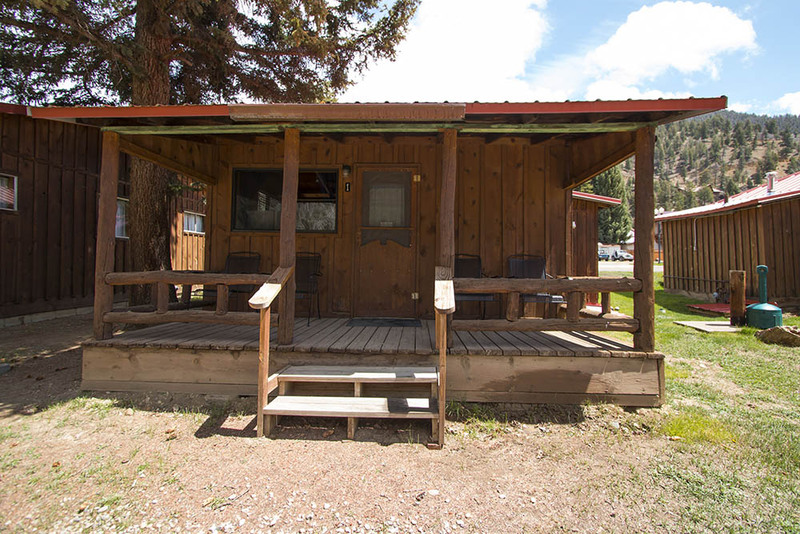 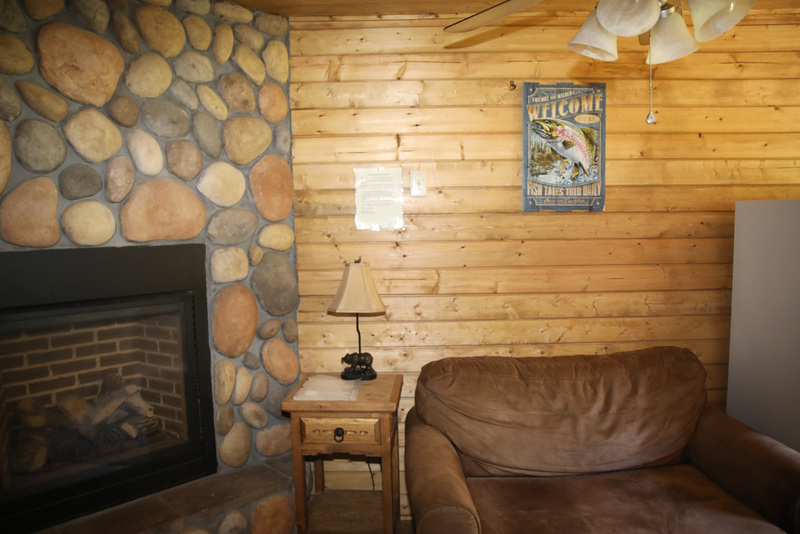 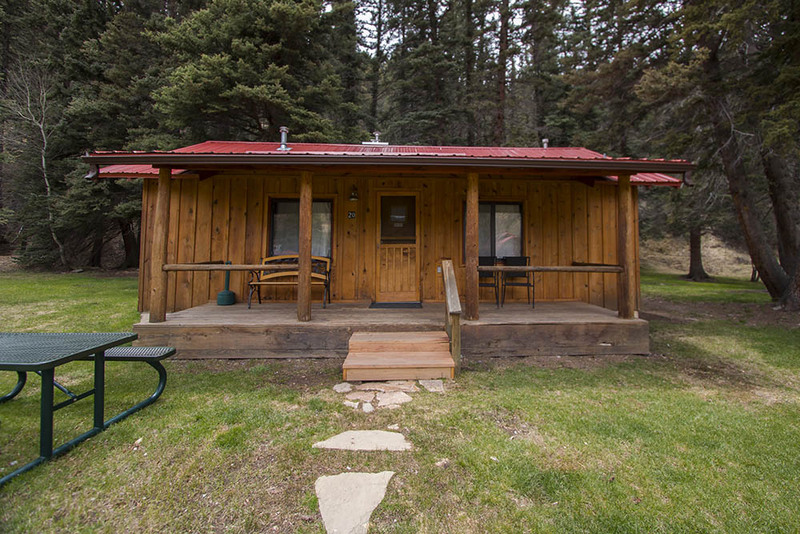 This cabin is non-smoking and is pet friendly for an additional fee.